It's that time again! Time for another edition of Books to Watch! This time it's all about the Middle grade love. This is a post where I share with you two books that I am loving and think that you should keep your eyes on! One that's already out, and one that's coming up. 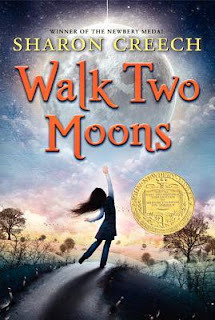 Walk Two Moons became my new favorite MG novel the minute that I turned the last page! Heartfelt, sweet, and downright adorable, this is the type of book that sticks with you. If you haven't read it yet add it to your TBR! It belongs in the hands of every person I know, from age 8 to age 80! Instantly, Phoebe Winterbottom came to mind. "I could tell you an extensively strange story," I warned. As Sal entertains her grandparents with Phoebe's outrageous story, her own story begins to unfold — the story of a thirteen-year-old girl whose only wish is to be reunited with her missing mother. Okay first off, look at this cover. JUST LOOK. It's gorgeous. 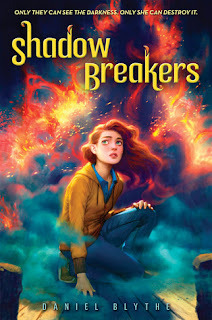 As soon as I read the synopsis for Shadow Breakers I knew that this would be an MG that was on my radar! Sadly it doesn't release until January 2013, but I'll eagerly (and impatiently) wait! Can she escape the shadows and face the truth before the darkness destroys her? "If the enemy is a fire, the evil is its shadow, flickering upon the wall." "That's very poetic, Miss Bellini. I just wish I knew what it meant." Miranda's new home is a dull seaside town at the edge of the world, the sort of forgotten place where nothing ever happens. Until something does. Something strange and sinister. With her schoolteacher and her classmates, who might be more clued in than they let on, Miranda sets out to uncover the mystery. Her bravery borders on recklessness. She thinks she's chasing shadows, tortured spirits from centuries past, but could true darkness lie within? With a mixture of science and magic, Miranda's got to figure out how to break and banish the evil before it destroys her. An electrifying paranormal thriller that will have readers guessing till the end!